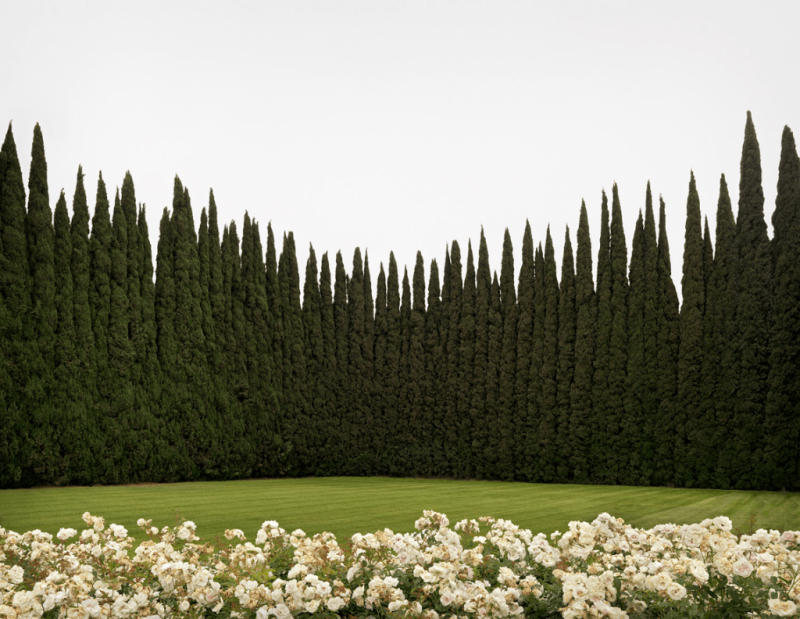 These photographs were shot in modest, well-worn, suburban cities in Southern Calif. Built in the 1950s and 60s, these cities provided a new home to a post-war population. This is where I grew up and, after 25 years, I returned. I was struck by the simultaneous growth and decline. Initially, it was the buildings that interested me. Then I began shooting the surrounding shrubbery with the same architectural approach. I liked the way the buildings and plants worked together, so that is how the project evolved. I have photographed in primarily static compositions, reflecting change, irony and evolution. Brad Moore was born in La Jolla, California. He received a Bachelor degree in photography from Loma Linda University, Riverside, CA. He later attended Art Center College of Design, Pasadena, CA. He worked as a photo instructor at LLU and later taught photofinishing at Noritsu Corp. In 1984, he started Aperion, Inc. – a company specilaizing in color calibration products for photo labs. He sold Aperion, in 2005, and now concentrates on fine art photography. Brad has shown in numorous exhibitions throughout 2007 – 2009, as well as a solo show at the Point of View Gallery, NYC, in Sept. 2007.